I’ve been working in Revit for years and have a very good exiting system. The problem is that I cant get the schedule to inform the tag of the results. Your method solves that! Why not make the casework room bounding with an instance parameter? Shoot me an email if you want the family I used..
Well, if you make built in furniture (casework) room bounding then it will subtract that area from the room area in both the Occupancy Load calculations and regular room area schedules. Its not exactly what I was going after with this workflow. 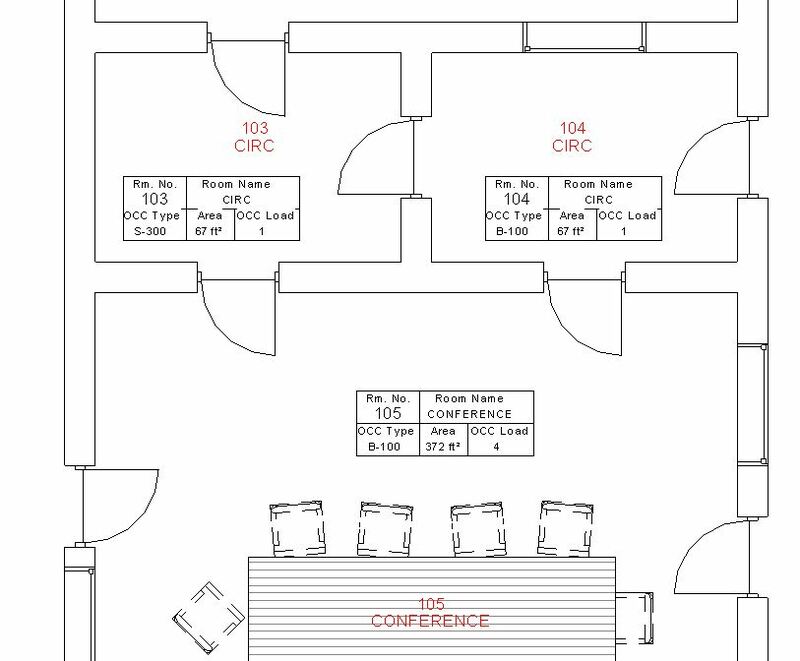 Areas in Room Schedules need to include entirety of a room area for the sake of costing, but for the occupancy load its easy to argue that built in cabinets shouldn’t count as occupy-able space. This was the reason that I had used filled regions. I would love to see your family though. I ended up straying away from making the casework room bound. Instead I developed a graph that finds where all of the casework is and adds it to a room’s area if it is necessary. It then does the calculations based on gross, net (no casework) and net(casework). I believe you helped me with a few questions on the forums with this graph. I will post about it soon as well. Happy to hear that. Do share your definition, i am sure others will be happy to see it. are you still sharing this definition? i would love to try it out. This is way too old – like more than 2 years old. I don’t think any of this still applies. Dynamo has changed a lot!